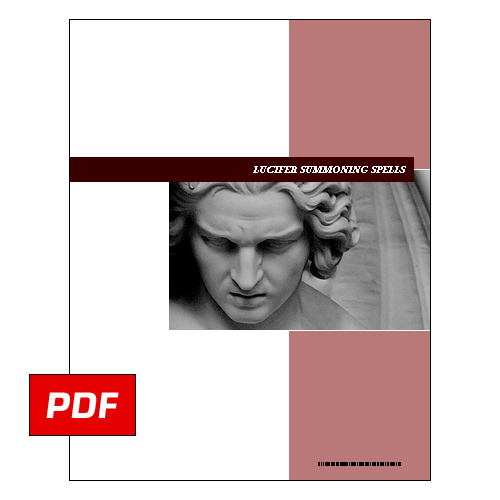 Product Description: This extremely popular ebook contains 10 summoning spells that can be used to call forth Lucifer. These summoning rituals are sourced from biblical scripture and medieval demonology texts. Summoning Lucifer should be done infrequently and with extreme caution. Only approach Lucifer with a still mind, pure heart, clean emotions, true intentions, and absolute respect and honor. Our ebook contains age-old canonical rituals that have been used successfully for well over a millennia. We have also hybridized these ancients rituals with proven modern-day mind-altering techniques such as holotropic breathwork, deep meditation, and lucid dreaming. The ebook is printer friendly and published in PDF format.